If you’ve discovered a stray dog, it’s probably more than likely that their owner is searching frantically for it somewhere nearby. There are three important things to remember if you come across a stray dog – your own safety, the safety of the dog and the safety of those around you. Once you have managed to contain the stray dog, try to see if it’s wearing an ID tag on its collar (which by law it should be). If you do find a tag with a contact telephone number, obviously the best thing to do is to try and make contact with the dog’s owner, and let them know the whereabouts of their dog. If you are at all unsure about the dog or if it is behaving in an aggressive manner, contact your local authority dog warden department at the Council offices, to report that you have found a stray dog. There should be a contact number advertised, even if it’s out of hours or at weekends.. Even if you decide to take the dog home and look after him until the owner is found it is still wise to contact your local animal shelter, as this could be the first place that the owner calls in their search for their pet. 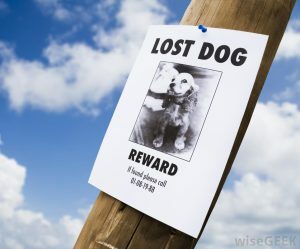 If all of the above fail, and you still have the dog in your care, consider preparing and printing a “found” poster, and placing around your local area. Register the dog on a missing dog website, check for “lost dog” notices, post on social media sites, and consider placing a card and picture of the dog in your local newsagent’s window. If you do decide taking the dog home with you, while you wait for its owner or the dog warden to arrive, be very careful and aware that a lost dog may be distressed and scared of strangers. The law states that you cannot keep a stray dog, but should you wish to foster or rehome the dog, give your contact details to the warden. If you don’t, you could be considered to be stealing the dog. Remember that somewhere out there is a loving owner, desperate to be reunited with their treasured pet. It's okay, my dog is friendly? Why is it best to use a local pet sitter?